I started to write my whole life in sentences as a way to share who I am with you while trying to keep it short and sweet but it's just too much information for me to reveal about myself all at one time. I guess the whole 'about me' takes a while to work up too. I've been sewing for as long as I can remember, and I've been around a sewing machine and people sewing my whole life. It's in my genes, it's a part of me. I have always been the creative type, art in high school, newspaper also. It is my outlet for what's inside of myself and it's also my inlet for what fills me up. I made my first quilt in the early 90's, with my sister whom I still quilt with today. It's one of the things that keeps us close. Since then I have picked up and put down the rotary blade many times up until I had my first son in 2010. 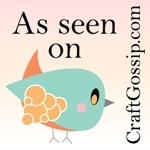 Quilting is now a large part of my life, as is my family and this blog. They all have to share me. I live in Portland, Oregon and have for most my life. I love the weather, the culture, the fact that my family is close by. When I am not being a stay at home mom to Baby J or making dinner and chatting with my Hubby I love to sew and garden and write this blog. 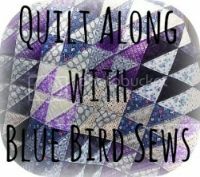 I started Blue Bird Sews in Jan of 2011 as a way to fill my time, connect with other sewers, and share my knowledge of quilting. Since then I have started a journey to become a professional quilter and pattern maker. It's going to be a long and winding road with many trials and victories, I hope you'll travel along with me and always let me know how you really feel.